Eli, Freek and Daan are three friends who came to to the Valley of Viñales in Cuba with the purpose of climbing. 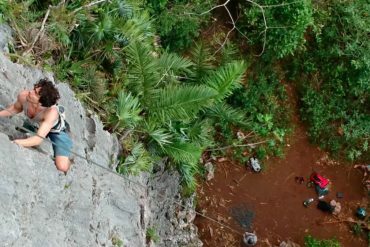 With them, we learned that this is the focus of rock climbing activity in Cuba, and that most of the climbing routes are found in the areas of Mogote del Valle, El Palenque, and La Costanera. 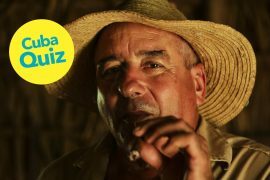 Check our quiz about Cuba here! 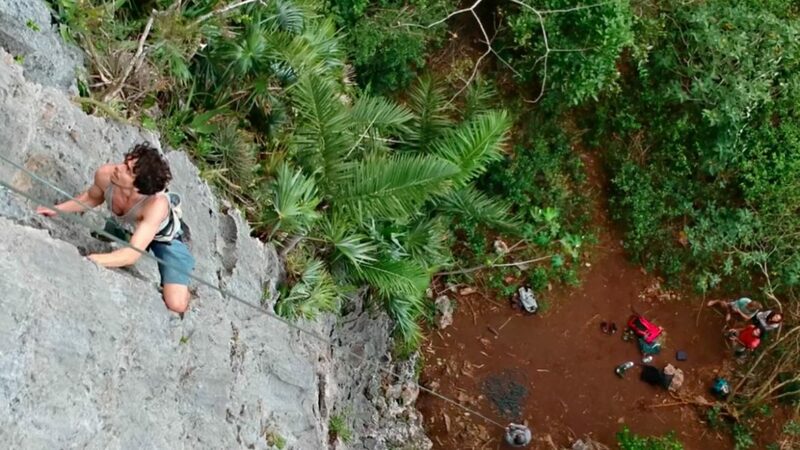 Climbing in Cuba started in 1999, when a group of US climbers arrived in Viñales charged with climbing ropes, quick-draws and harnesses, but also with drills and bolts. They wanted to work routes on the Mogotes, some with vertical walls of 300 metres. Nowadays there are over 250 routes prepared with bolts. Most of the routes are found precisely where we are now, the Mogote del Valle, which is not far from the village at all, we walked to come here. It is on the northern side of the valley, close to the Cueva de la Vaca, one of the many caves in the region, near the Finca Raul Reyes. The three climbers were preparing to climb the wall known as Punta Repaso, at Ensenada de Raul and we stayed with them long enough to follow the procedure. 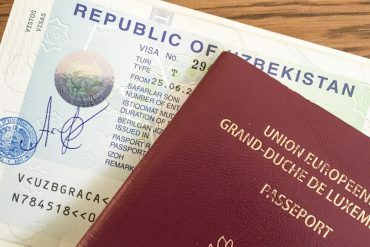 They were confident without being overly experienced, so they took all the necessary precautions but advanced quickly. Technicality aside, they needed to worry about wasps, mosquito bites and possibly the guao plant (like poison ivy), that causes harsh rash and itching. They climbed and descended without problems. They had a few more days in Cuba, and wanted to climb as many walls as possible. 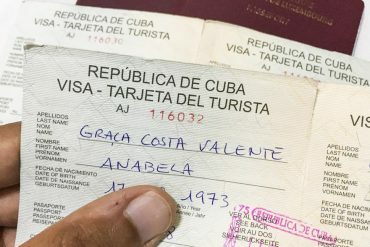 After their holiday was over, they returned home without their climbing material, because, like many other foreign climbers, they offered their material to local climbers who do not manage to find climbing gear in Cuba. 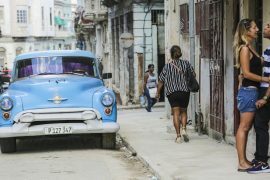 Our visit in Viñales gave us the impression that the region is becoming the outdoor mecca of Cuba. There are unique hiking opportunities through the Mogotes, as well as horse riding and climbing. 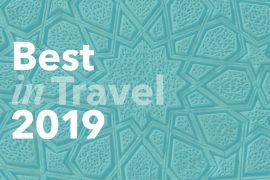 And with its all lively nightlife, it is not surprising that the town is attracting a crowd of travellers looking for adventurous, open-air activities. 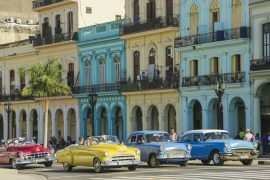 Also read: Our 8 Reasons Why You Should Visit Cuba Now!